It seems that Taylor Swift has become the epitome of “mainstream”. I mean, even my DAD knows what she said in her latest interview, and he’s Korean and has never heard of the Kardashians(I repeat, the KARDASHIANS). She’s all over the place, with her music becoming anthems for teenage girls and rise to success becoming topics of great academic research for scholars all over the world. Her latest album, 1989, was the biggest-selling album of 2014, and her Billboard records match up to those of the Beatles. She’s become so terribly successful and famous, in fact, that it’s making us all feel guilty to admit we love her. Like any well-known person, she has almost as much haters as fans. But it’s not just the haters-it’s the fact that there are so, so many other people that listen to her music apart from themselves that bothers people. Liking Taylor Swift’s easygoing, lighthearted songs make people feel “basic”, and, let’s face it-no one wants to feel basic, when we’re all so convinced that we’re incredibly important and one-of-a-kind. ‘Basic’ is the new negative word for ‘typical, shallow, and not special(, let alone artistically valuable)’. Downloading her songs alone on your phone at night while getting emotional about your ex makes you feel like you’ve become that basic, (usually perceived as)dumb girl that orders the infamous pumpkin spice latte while texting on her iphone, in leggings and Uggs. And it’s not only that. It’s also the fact that almost all her songs are about the simple emotions involved in falling in love and falling out of love, unlike other mega-selling records of the past that are known for having real artistic value, like ‘Bohemian Rhapsody’ by Queen, or ‘Thriller’ by Michael Jackson, or ‘Rehab’ by Amy Winehouse. Of course, lots of other famous songs are about love too-take Whitney Houston’s ‘I Will Always Love You’, for example- but we remember ‘I Will Always Love You’ as a romantic, soulful, legendary song. I’ve never, ever heard anyone call that song “basic”. However, everyone calls Taylor Swift’s songs basic. Why? I assume it’s because her songs have simple melodies, simple lyrics, and are about simple emotions that we’ve all felt before. They’re not about some deep, artistic rendition of love. They mostly describe the feelings a high school girl would have about that cute boy/girl in Biology, the lousy ex that betrayed you for another girl/guy that you spent all night crying about while eating chocolate in your college dorm room with your friends, or your current S.O. that you smile about before falling asleep every night, imagining holding his/her hand and going on picnics and doing ridiculous lovestruck things that you see in every soppy romantic comedy movie. The thing is, her songs are mostly about everyday feelings. Things that don’t apply exclusively to those who are in a love so complicated and holy and mature, but apply also to the ‘average’ teenager next door that loves procrastination, doesn’t know where her/his life is going, and has a crush on her/his classmate at school. Taylor’s songs are mainstream because we can all relate to them. I’ve been told that I try too hard to be unique and sophisticated and that I act too mysterious and chic(which is actually because most of the time I can’t think of anything smart to say so I just sit and stare at people), but I can’t help indulging in the common ‘girliness’ of Taylor Swift’s songs every once in a while, sometimes. When I’m singing in the shower. Everyday. Okay, fine, I have practically ALL her songs on my playlist on my phone, AND I’ve been to a Tay Swift concert back in 8th grade. But I refuse to be ashamed about my affinity for this ‘basic’ culture. Whenever I tell people I like Taylor Swift, their initial responses are always either ‘Seriously?’ or ‘Wow I thought you were really unique and different though’. No one says that when someone likes Amy Winehouse, or Nirvana, or Weezer, or AC/DC, or some alternative indie band. When someone says they like Oasis, it’s all ‘Ohh you know your music!’, unlike when someone says they like the Backstreet Boys(yes, I just made a My Mad Fat Diary reference). I don’t understand in the first place how some pieces of art/music can apparently essentially hold ‘more artistic value’ than others. Art isn’t like a math test; it isn’t something where you can just weigh one against another. Every piece of art holds a different meaning for every single person, evokes different emotions in every single person, and affects every single person in such a variety of ways, and I do have the audacity to say that the silly drawings that I drew of unicorns and princesses when I was four mean way more to me than a Jackson Pollock painting or a Michelangelo sculpture worth millions. Also, I think it’s wrong for people to talk about mainstream pop singers like Taylor Swift or One Direction or even Justin Bieber(unless they’re talking about his stupid antics, then, yeah I agree he needs to get his life together) and their music in a condescending way, assuming that they have less artistry than other ‘legendary’ musicians like, I dunno, Nirvana. Firstly, creating something that the vast majority of ‘common’ people can relate to is not only more difficult than people think but also extremely meaningful. Taylor Swift’s songs reach out to so many people, whoever they may be, and I believe that this connection through her music, between her and the listeners, is a manifest of one of the biggest, most sacred assets of humanity-artistic communication. Because at the end of the day, being able to touch the heart of another or make someone see a certain reflection of their own life through something you created, and being able to create something that can bring a huge group of people all over the world together emotionally in sympathy(even IF it is just about your highschool sweetheart and how you broke up with her/him at school), is one of the most important fundamental principles of art itself. Secondly, even if lots of popular singers today don’t make their own music, I still think that performance(not just ballet or operas but also performing at the Superbowl) is also a legit art which requires much artistry and effort. The process of interpreting a song and using your voice, body, or instrument to communicate with others about the song, whatever that song may be, is still just as valuable as the process of creating the song itself. Completely agree! Music pretention is what’s stopping self-expression and the evolution of the music industry as a whole. To be fair though, I don’t think Amy Winehouse, Nirvana, AC/DC OR Weezer can be considered “indie.” They’re might as well be the most mainstream artists out there for those who are seeking for more independently produced, obscure music. But of course, it’s their choice if they want to listen to bands with audiences of 50. No one should feel guilty about their music choices! I loved this SOO much. When I tell people I’m a fan of One Direction and Taylor Swift (she’s a self-made successful woman with amazing songs, what’s not to love?) They’re like “ew, why?” I thinks it’s become a “trend” to listen to less known music and that’s not right. We’re all different, we like different music. Good article. I’m a grandma and I love Taylor Swift. Her beats and her simplicity and her keeping in touch with fans is enormous. She has good people skills. I recently admitted in FB that I like her a lot and all my friends in my age group agreed – even guys. 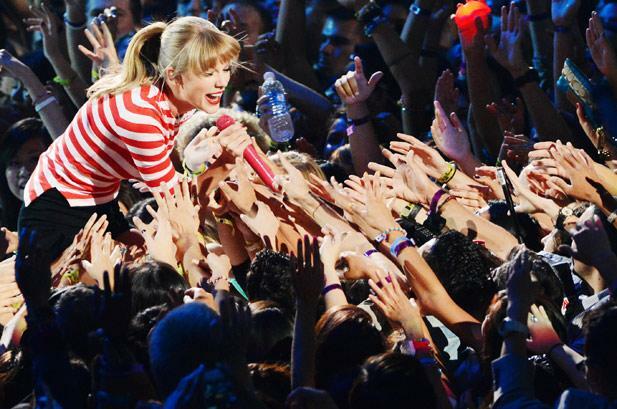 You can’t compare artists – but she is like the Beatles – in the fact that all generations love her. This was such a great, well written article, ans I loved it completely there will always be music snobs its what’s so great about the industry so many people have a passion for their particular brand of music. Thanks for taking the time to read! : ) LOVE your store by the way! obvious but it will help if the guitar is tuned to concert pitch.